I need to do this! 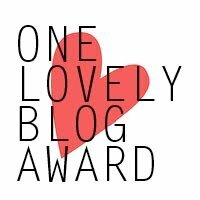 Back in May on the last post I made before I quit blogging over here for a while, Millie On Her World nominated me for a One Lovely Blog Award. I hate that it has taken me months to acknowledge this:( But I haven’t forgotten & I’m doing it now! First I want to thank Millie so much for this! 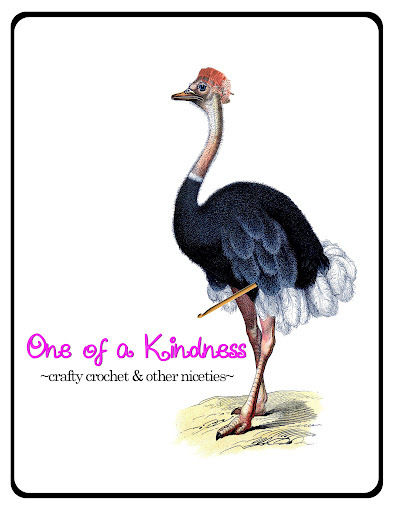 It’s my first blog award:) She does such cute crochet goodies, I feel especially pleased to have her recognize me on her blog. And now for the rules! 2. I wrote a novel & someday will actually try to sell it. 3. I used to write poetry & do readings, but when I finally got published I quit. I think it was a timing issue, because it happened right before I was starting grad school. 4. I have my a Master’s degree in Social Work. 5. I’m Cherokee from my mother’s family. 5. I’m moving to Portland, OR next year! 6. I used to be a vegetarian. 7. Anne of Green Gables will always be my favorite book. 24Hr Sale In My Etsy Shop! Since I built a light box the new items I am adding have better pictures than my previous listings. I’m also punching up my listings. 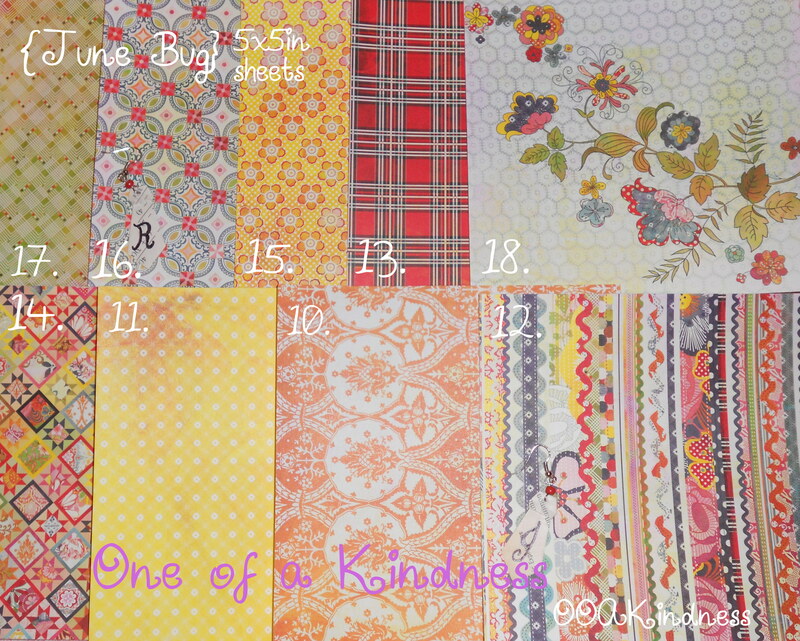 I don’t want to go back & update the old listings, so I marked them all 50% for 24hrs. Until Fri @ 10pm CST all my current listings are half off. Plus, if you use the coupon code IMLAZY you can get free shipping, US only. I photographed the process of making a collapsible light box entirely from items on hand, so it was free. I’ll be posting that tomorrow. I also made some turnip green gnocchi for lunch, which was a delicious experiment, & will be posting about that soon. Plus, the new earrings I’m in the middle of listing right now. And another Pinterest inspired project or two. Oh, & a DIY version of a cool product I saw in a magazine. I have more ideas than energy/time! Today only I am having a 2-for-1 sale in my Etsy shop. Buy 2 (or 4/6/8/etc) items & I will refund you the purchase price of the less expensive item (or items). The purchase price is after coupons, before shipping. You will still pay shipping costs for the lower priced items. I’m listing some new crochet earrings tomorrow, so for today I have marked all of my current earrings half price. Sale! Today Only All My Origami Jewelry Is 50% Off! I’ve marked one item half price & hidden a coupon code for 30% off my entire shop in the listing. Get to hunting! Something new I’ve been working on, earrings made from origami boots. I’ve made cowboy boots, biker boots, pirate boots, & a fantasy pair. …and don’t forget if you shop through the My Etsy Shop page on my Facebook page you can get a coupon for 10% off & free shipping. While you’re there, please like my Facebook page. When I reach 100 followers I’ll be having a drawing for free merchandise. Same goes for my Twitter! 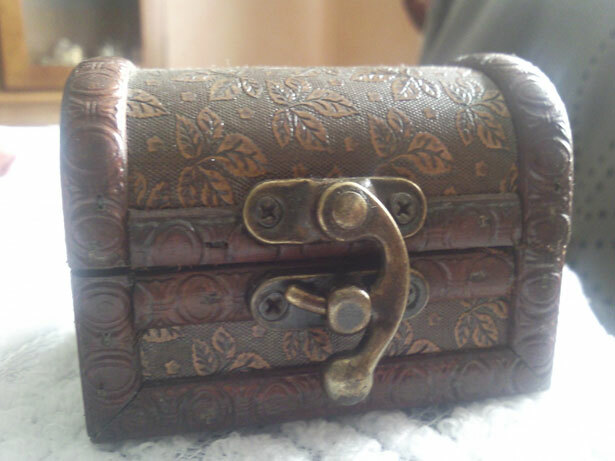 One more thing, a blog sneaky pea, since Monday will be day 14 of the Alabama Accents cross-promotion on Etsy, & more importantly MY day to be promoted, I will be offering a 14% discount that day. I’ll post a reminder here with the coupon code. 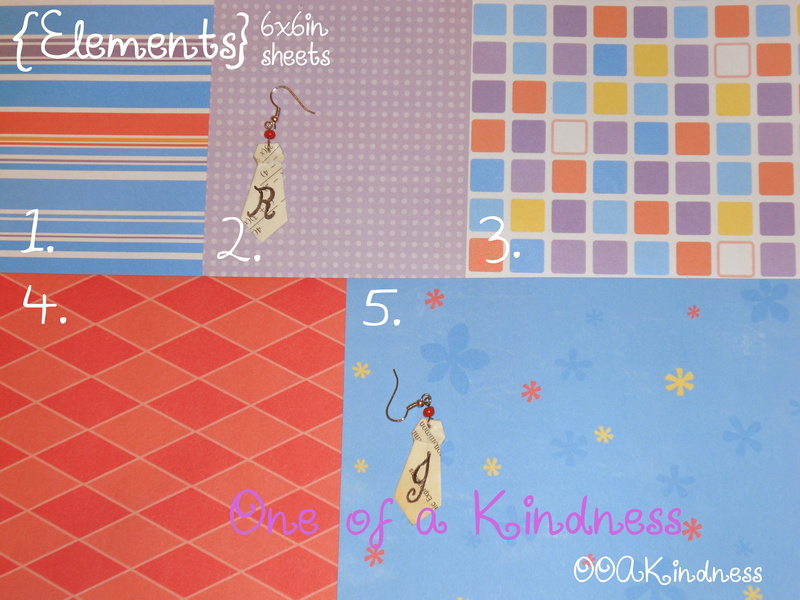 Today’s new items was made to go along with the origami necktie necklaces from Monday. I made cute little baby origami neckties! 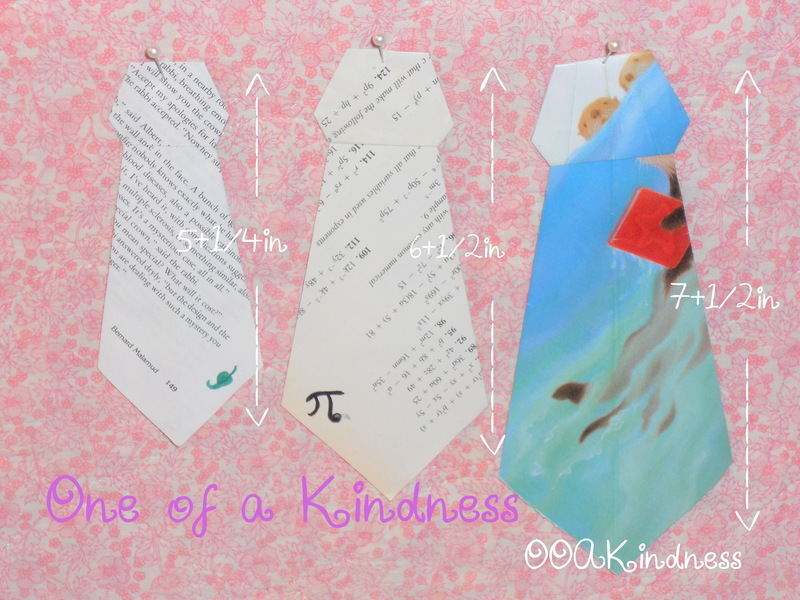 Origami Necktie Earrings from old text books math by OOAKindness. The neckties are ~1.5in & the overall earrings are ~2in. They come on french hooks, & a bead can be added. I can also add a simple design or a star punch to them. Check it out at my Goodsmiths shop, too! I still have plenty of pages from the algebra & literature books, & the children’s book about otters. Click on the photo to see it full size. Here is my selection of Elements papers, numbered 1-5. They are shown with ~1.5in origami neckties for scale of the patterns. Each of these sheets are 6x6in with solid white backs. Click on the photo to see the full size image. 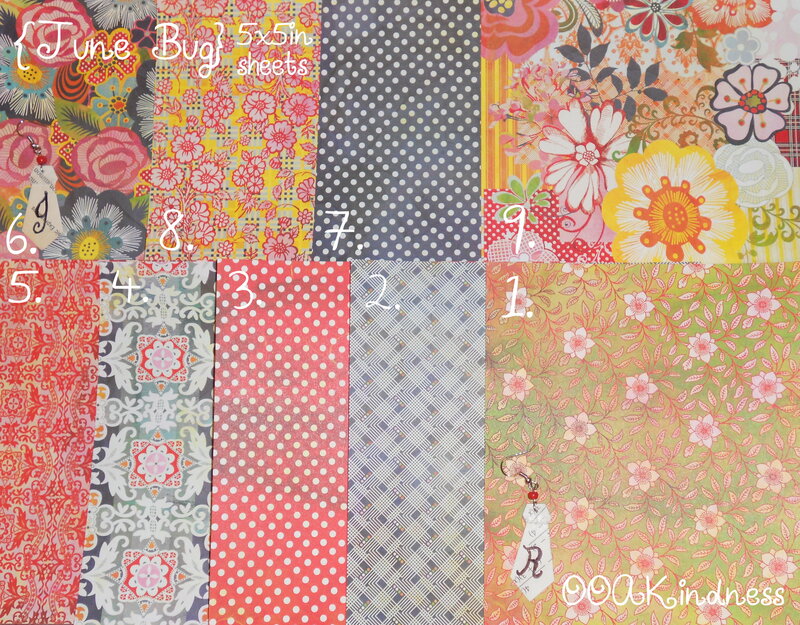 Here is my selection of June Bug papers, numbered 1-9 & 10-18. The numbering is based off another pic, so they are a little jumbled here. They are shown with ~1.5in origami neckties for scale of the patterns. These sheets are 5x5in with solid white backs. Click on the photo to see the full size image. When requesting number paper styles, please include the package name & the number of the style you want.